It happens to all of us. Sometimes it’s instantaneous. Sometimes it’s a slow change that we barely notice. Sometimes there’s a reason. Sometime’s it doesn’t make sense at all. But, it happens. Our motivation, our MoJo, is just gone. In the nearly 20 years that I’ve been writing about running and walking and living a healthy, active, lifestyle this is probably what I am asked about the most: what to do when what used to be easy is now impossible. How do you find the joy that is now gone. It’s not easy, but I do have a few tips. Refocus: I started walking and running because I wanted to lose weight and look better. I was in my early 40’s. The evidence of living with abandon had become too obvious to ignore. I hadn’t been able to look down and see my feet in years. And when I had to start buying my “Sansabelt” slacks at the Big and Tall Men store I knew something had to change. I changed my diet, stopped eating as much as I wanted any time I wanted and I lost weight. I also started walking and running more, discovered that I liked racing 5K’s and 10K’s, started swimming and biking and became a triathlete. Eventually I was thin and fit and athletic. I was also very slow. Whatever your reason for taking that first step was, maybe it’s not a good enough reason any more. What I discovered, for me, was that the long-term motivation didn’t come from losing weight or racing. It came from being able to live the active life I thought I could never live. Refocus on something new. Reframe: In the beginning, success was losing 5 pounds, then 10, then 20. When I had lost almost 100 pounds success couldn’t be losing more weight. In the beginning success was running a 5K in under 45 minutes, then under 35, then under 25. When I reached the limit of my ability success couldn’t be running faster. If you’ve reached the goals you set for yourself at the start, if you’ve been successful at achieving even your most unbelievable goal it’s time to reframe success. Find a goal that isn’t related to some previous success. Walk a 5K with a friend who’s just starting. 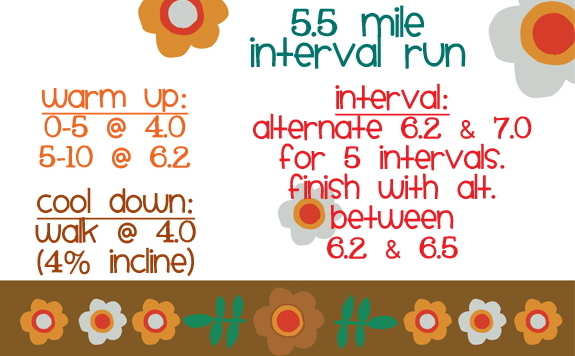 Help coach a school cross-country team. Your success will feel better if you share it. Refresh: When I was first getting active, especially after I discovered racing, my training was all I ever thought about. I’d sit in meet ings and work on my training schedule. I’d devour everything written about running. I only talked to people who talked about running and racing. I was obsessed. The only people around me were other runners. Later, with the help of Jenny Hadfield I learned to kayak and canoe. I learned how to hike with trekking poles while carrying a backpack. I learned how to use a compass. I took a scuba certification course. I took the benefits of living a healthy active lifestyle and started living a healthy, active life. If running isn’t enough anymore, go do something else. My running and racing aren’t the center of my life anymore. They’re important. They’re very important. But they are no longer the whole of who I am. They inform who and what I am, but they no longer define me. 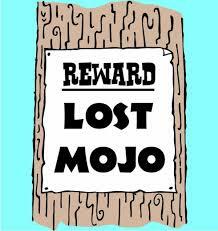 Your MoJo isn’t really gone; it’s just playing a game of hide-and-seek. Get out there and find it. You’ll be glad you did. Boy, I sure needed this today/this week/this month. Thanks.